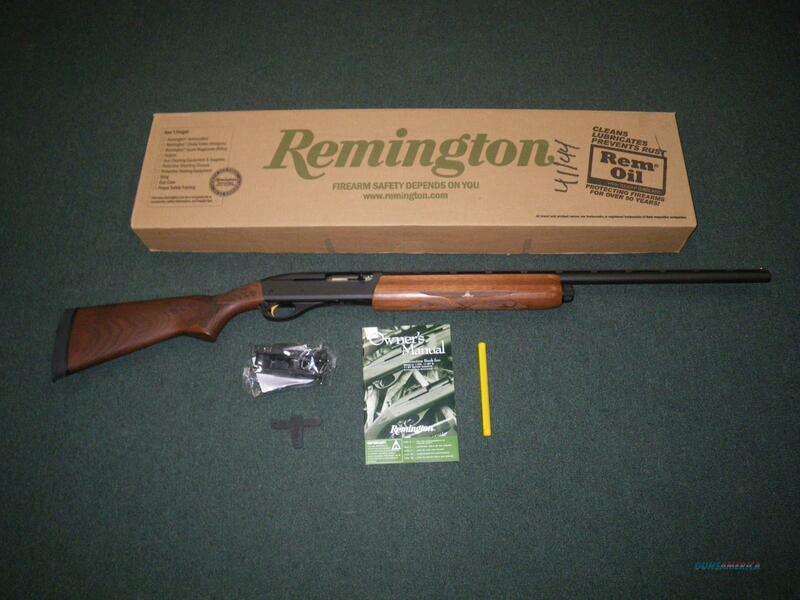 Description: You are bidding on a new Remington Model 11-87 Sportsman Field in 20ga with a 26" barrel and 3" chamber. No matter the season, Remington's Sportsman answers the call with the lethal blend of speed, reliability and smooth operation that have made the Model 11-87 a standout since its introduction. These are workhorse shotguns, built to Remington's legendary and uncompromising standards for autoloader performance. Truly as timeless and versatile as the American sportsman, the new Model 11-87 Sportsman Field is a return to the roots of Remington semi-automatic shotguns - all-around utility and classic looks for clays, field and upland hunting. It features a handsome, satin-finish walnut stock and fore-end with fleur-di-lis checkering. The nickel-plated bolt and gold-plated trigger perfectly accent the satin sheen of the barrel and receiver. Barrels are 28" on the 12 gauge model and 26" on the 20-gauge version. Both have a vent rib with dual beads and accept Rem Chokes (modified choke included). Displayed images are stock photos. Any questions please feel free to ask (our phone number is in the additional information tab above).